A Day To Celebrate: What If Our Pets Had Thumbs? Did you know that in the middle of March we celebrate If Pets Had Thumbs Day? We recently learned of this holiday and it got us thinking. What would our pets be like if they had thumbs? 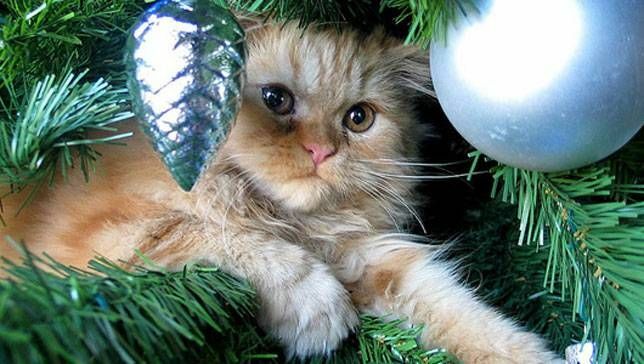 Can you imagine the fun a cat could have in a Christmas tree with thumbs? If dogs had thumbs would they help wash the dishes, as opposed to licking the dishes? One has to wonder if a thumb would make a difference. Dogs would, no doubt, have an easier time sliding a plate across the floor and grabbing it to bring it back towards them. We humans have opposable thumbs and our pets do not. Makes one think how different things would be if they had them, doesn’t it? 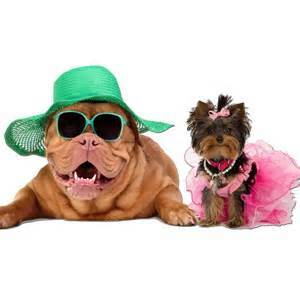 With a couple thumbs, you may find your pets dressed like this! If cats had thumbs would they be able to tear up the furniture quicker? We do believe if the thumbs had claws, it would definitely speed up the process. Cats love to claw and grab things, so a thumb or two would aid in the process. Can you imagine how much quicker your cat could catch a mouse or a bird with a couple thumbs? A cat could possible pour a glass of milk with a thumb and/or even brush his fur. And it’s no secret, many dog owners have had dogs that have opened the refrigerator on occasion. Can you imagine how much easier the process would be with opposable thumbs? We find it kind of humerous, as life would be very different if our pets had thumbs and could speak. Our pets do seem to understand what we have to say now and then, so a thumb along the way would add to the communication. If there is one thing we can agree on, it’s that our pets do bring joy into our lives. Thumbs or no thumbs, there’s something for everyone to love about them. Celebrate your pet all 365 days of the year, as they love you unconditionally and it’s only fair to return the love.